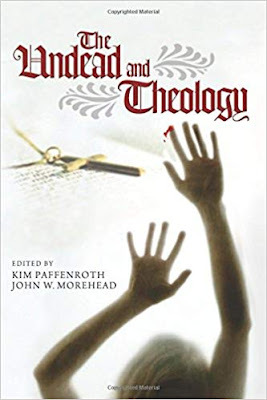 14 - Book Review: "The Undead and Theology"
Pickwick Publications, 2012, 298 pp. The academy and pop culture alike recognize the great symbolic and teaching value of the undead, whether vampires, zombies, or other undead or living-dead creatures. This has been explored variously from critiques of consumerism and racism, through explorations of gender and sexuality, to consideration of the breakdown of the nuclear family. Most academic examinations of the undead have been undertaken from the perspectives of philosophy and political theory, but another important avenue of exploration comes through theology. Through the vampire, the zombie, the Golem, and Cenobites, contributors address a variety of theological issues by way of critical reflection on the divine and the sacred in popular culture through film, television, graphic novels, and literature.